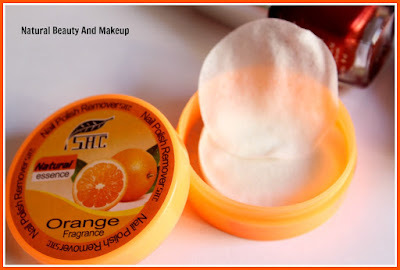 Today I have come up with a review on nail polish remover wipes from an unknown brand (to me) named as S.H.C. 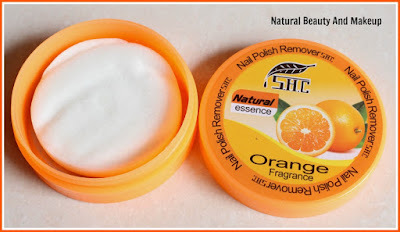 I bought this product from a local shop, Pune, during Durgapuja festival last year and have been using it since then 😊 So, finally, I am here to share my thought on it, read ahead to know more! Made from botanical ingredients and add a unique formula of nail polish removing, do not hurt and damage the cuticle of your hands and feet, has nails protect efficiency, can completely remove the oil on your fingernails and toenails, let you feel nail polish removing is so easy. The product adds another plant essence, pleasant fragrance after use, to improve the odour problems after nail polish removing. Claims: To remove nail polish efficiently without damaging the cuticle of hands and feet. The product contains a few wipes to remove the nail polish but the exact number of wipes are not mentioned anywhere on the product packaging. Even the price, ingredients and the shelf life details are missing here; only a few lines dedicated to the product are mentioned! 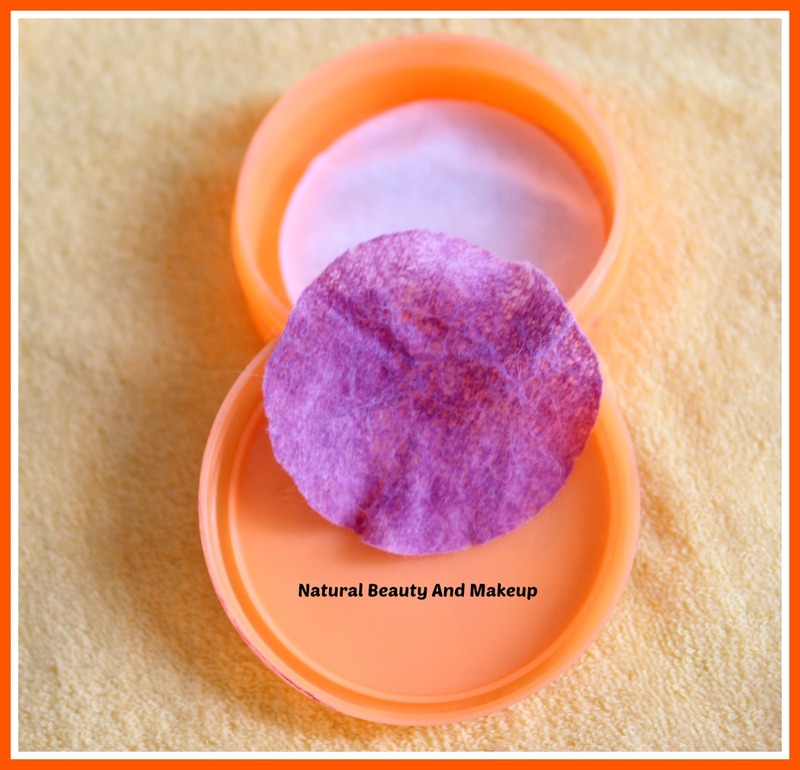 It comes in a tiny orange coloured plastic box with a cover lid where the product and the flavour names are written along with an orange fruit picture. As soon as you open the cap, you will be greeted with an artificial fragrance, leave aside orange scent! The wipes are infused with oils; I don’t know which oil it is exactly. But as the product claims that it is made from botanical ingredients, you gotta believe that! I tried to research about this product on the internet, my bad, nothing is there. 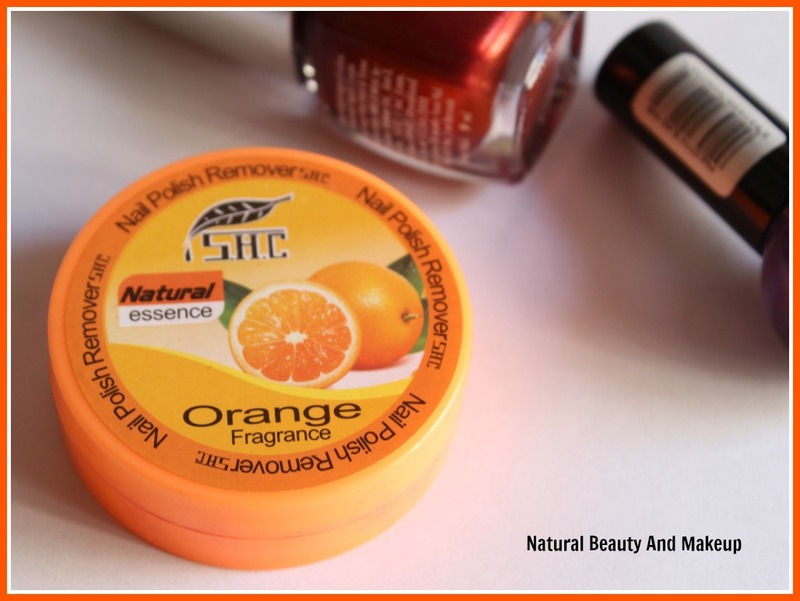 Anyway, coming to its action part, you will be amazed at how it removes the nail polish with ease from hands and feet without drying the nails. 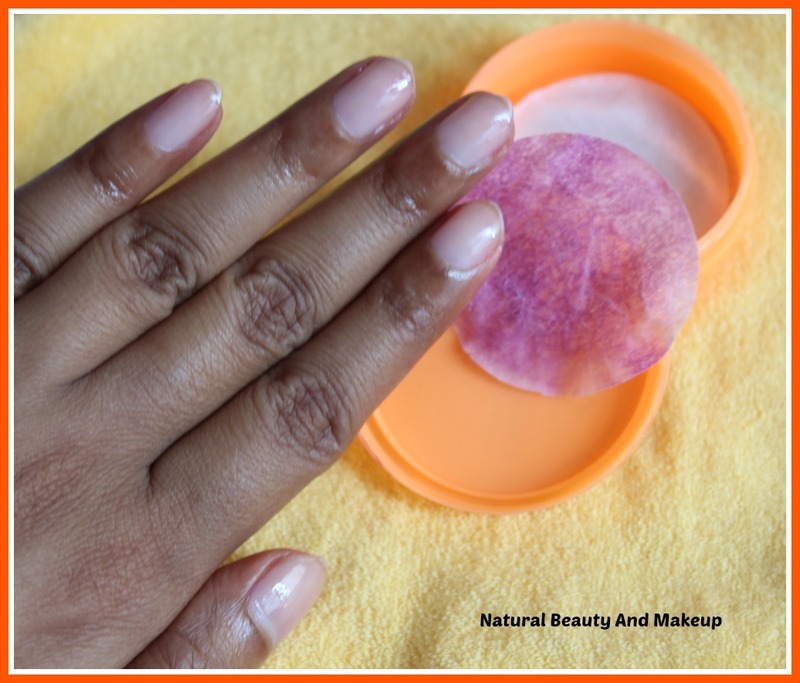 One wipe is enough to remove the nail polish from both the hands, although, afterwards you need another wipe to clean up all the stained nails properly. A shot immediately after removing the nail polish! A fully saturated wipe after removing nail polish from both the hands! It stains the clothes, be aware! In short, I am quite happy with this product as it does what it claims. 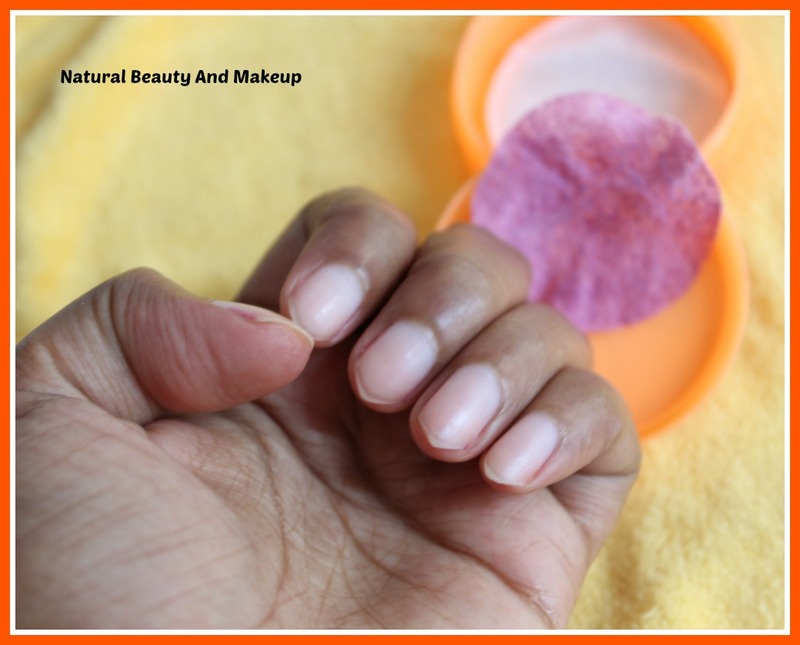 It is easy to carry and use anywhere I want and till date, it didn’t irritate my nails. 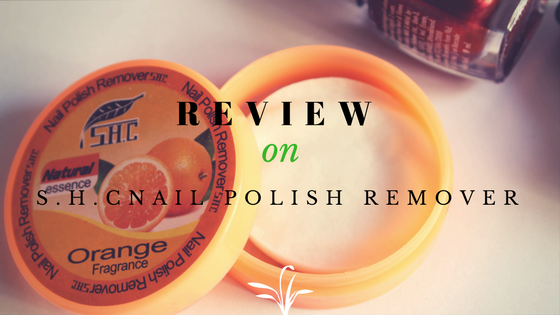 It not only removes nail polish efficiently but at the same time keeps nails moisturised post usage, which is really appreciated. I am only disappointed with the fact that, it lacks the transparency regarding product ingredients and other vital details. Hope you find this review helpful and do let me know your favourite nail polish remover in the comment section below. I use lakme nail remover and I love it .. This one seems nice but I hate artificial fragnance. Oh this is a nice product, I've used something like this and it was amazing. 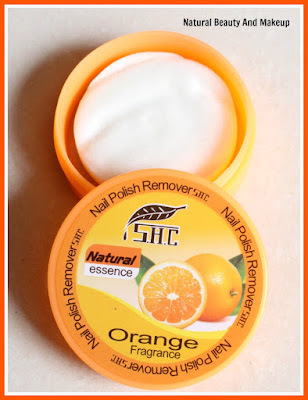 It was a gift so I don't know where to buy it and thanks to your post, it has reminded me to look for this nail polish remover. My pleasure dear <3 This particular product is probably not available in your country, but you can look for similar product of course!